Perfect for the outdoors adventure lovers, this hiking trip will let you experience the breathtaking scenery, remoteness and dramatic landscape of the famous Isle of Skye. It also features other Scottish Highlands “must-see” landmarks and attractions such as Eilean Donan Castle, Loch Ness, Talisker Whisky Distillery and much more, so don't miss out on this amazing opportunity and join us now! Optional: Talisker Whisky Distillery (whisky tasting) - alternative to Claigan Coral Beach. Boat trip during which we will see seals. Ruins of Urquhart Castle which offers amazing views of Loch Ness. Arrival at Edinburgh airport before 14:00. Departure for Isle of Skye in the afternoon. Green Welly Stop snack break. Have a quick grab and a coffee. Quick visit to Fort Augustus which is located on the edge of the famous Loch-ness lake. Arrival at accommodation in Dornie around 21:30. Check-in. 8:00 Departure for Portree - the main town on the island. There we will see a beautiful bay with boats and colourful houses along the port. Walk the streets of Portree and feel the magic ambiance of this gem of a town. The Old Man of Storr. Walk up to the magnificent ridge of the “Old Man” and get outstanding views of the sea and the surroundings. It is for a reason that it is one of the most photographed places in the world and one of Britain’s best views. Photo stop near Kilt Rock - a sheer cliff with a waterfall that drops from it. Visit Skye Museum of Island Life. There you will find a collection of historical articles and get an insight to the lives of people of the 19th century and get a feeling you’ve been carried back in time. Visit the Fairy Glen (weather permitting) – it’s a place where magic lives with its mystical mounds and flamboyant greenery. Return to accommodation around 21:00. Boat trip (weather permitting) near Dunvegan castle during which we will see seals. 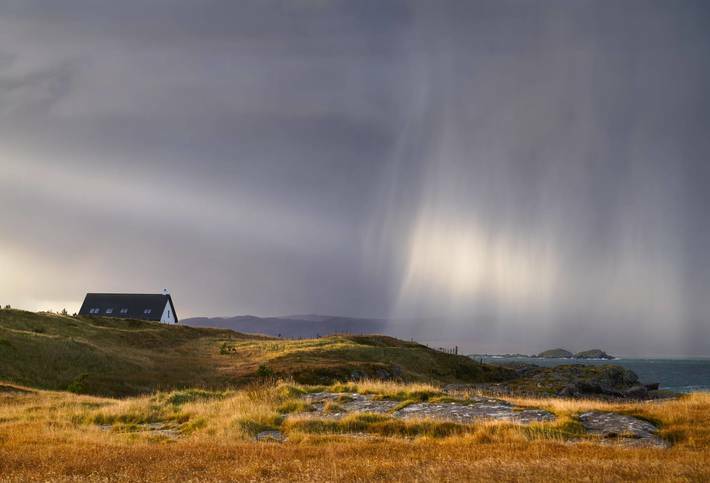 Trip further west to Niest Point lighthouse – one of the most famous lighthouses in Scotland. Trip to Coral Beach with tropical blue water, which is particularly dazzling when the sun shines, and white sand. Weather permitting, you might get the impression you are in the tropics if you don’t take into account the temperature. Alternatively we can go on a Talisker distillery tour, where you can find out about whisky making process, taste and buy one of the best local scotch whiskys. Return to accommodation around 19:30. Quiraing walk. The supernatural cliffs, the windy path and the breathtaking scenery won’t leave you indifferent, rain or shine. Enjoy the most amazing views of the Isle of Skye. Visit Eilean Donan Castle – Scotland’s most recognizable landmark with centuries of history behind. Afterwards we will travel to Plockton - a tiny village nestled at a sheltered bay. Thanks to the Gulf Stream it has a unique mild microclimate, and there are palm trees growing in the village. Optionally we can dine in this marvellous place where fresh fish is served. Return to accommodation around 20:00. Departure from Dornie at 7:50. Transfer to Urquhart Castle which is perched on the hill overlooking Loch Ness - one of the most mysterious lakes in the world. Stop at the The Green Welly where you can have some rest and grab a coffe and snacks. Arrival to Edinburgh at 16:15 where you can visit Edinburgh castle (at an additional fee), go to see the largest collection of whisky in the world during the Scotch Whisky Experience (at an additional fee) or walk around the old town doing sighseeing and buying souvenirs. Optional: mysterious night out with ghosts at the Real Mary King's Close (at an additional fee). If your flight departs in the afternoon, you can walk around the city in the morning. 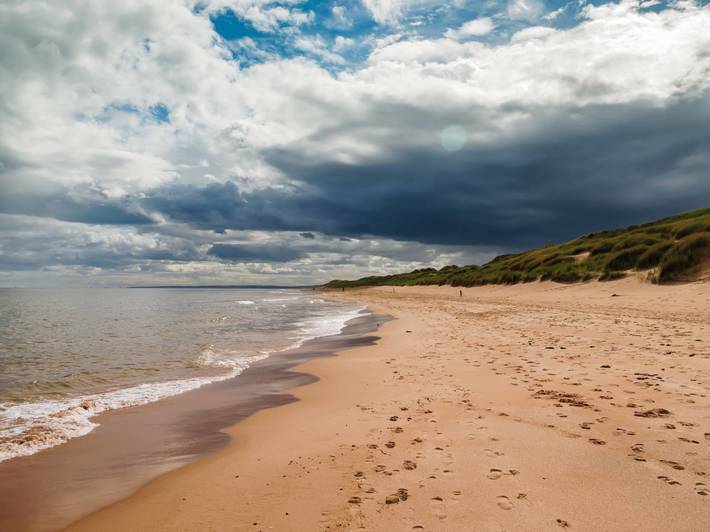 Taking its name from the old Norse Sky-a, which stands for a “cloud island”, this second-largest Scottish island is one of the greatest places you can visit in the Highlands and the whole country when choosing a Scotland trip package. Boasting unearthly scenery full of stunning moors, hills, mountains, lochs and cliffs, Skye will let you get away from everyday hustle and bustle by giving you the feeling of serenity and peaceful remoteness. Portree is the main town on the island but there are also plenty of other things to see such as Trotternish Peninsula with its great hikes to the Old Man of Storr and the Quiraing, typical Scottish castles (Dunvegan or Eilean Donan just before crossing the Skye bridge), island museums and craft shops, whisky tasting at Talisker Distillery as well as dining at many local restaurants serving delicious and fresh seafood. 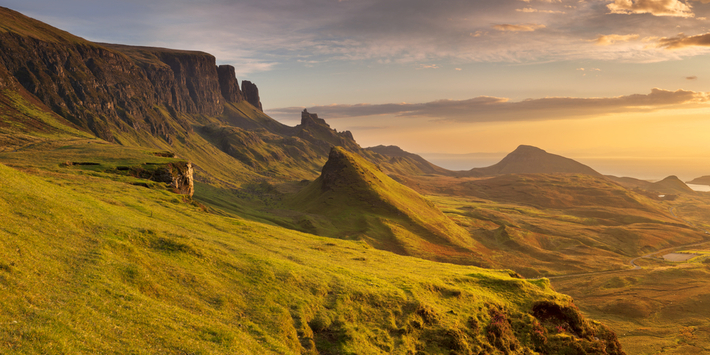 Discover the Isle of skye, one of the top island destinations in Europe! 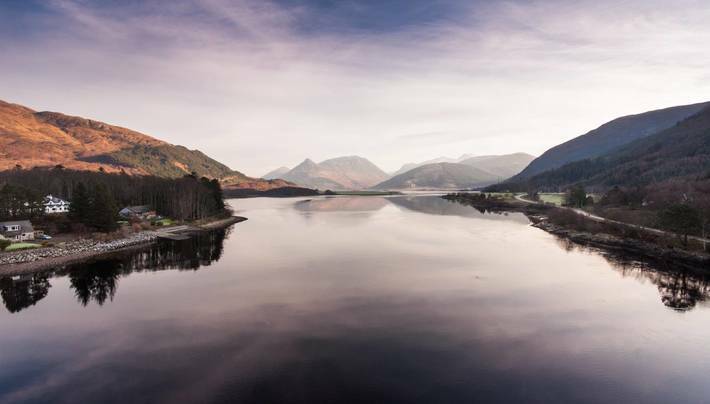 Enjoy some of the most exciting hiking tours in Scotland during which you will cover a distance of over 20 kms on easy trails. 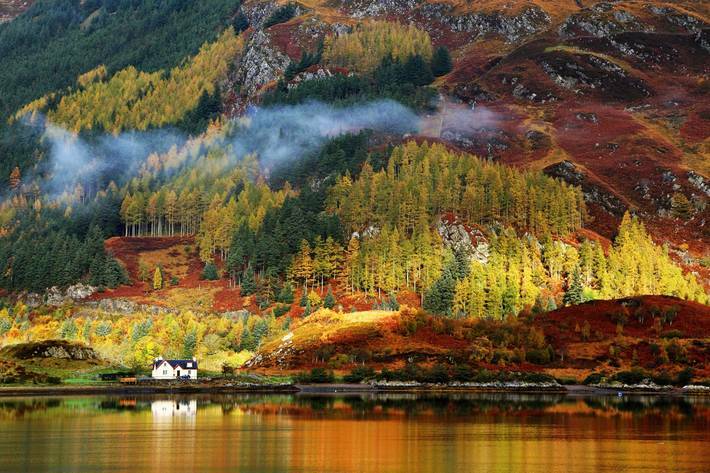 Marvel at majestic mountains, sandy beaches, green valleys, scattered croft cottages and dramatic scenery. 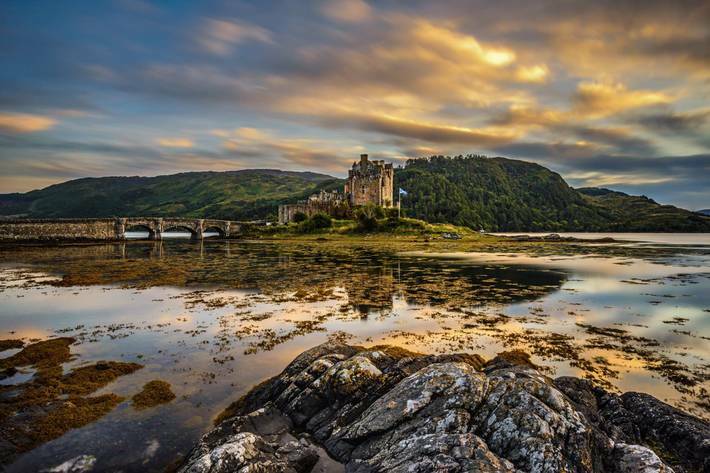 Explore the past and touch history when visiting medieval castles Dunvegan and Eilean Donan. Visit Loch Ness and try to track down the monster. Observe incredible wildlife with the like-minded lovers of nature and adventures! Try some of the best single-malt whiskies. Experience the breathtaking scenery, remoteness and amazing landscape of the famous Isle of Skye and the whole Scottish Highlands area. 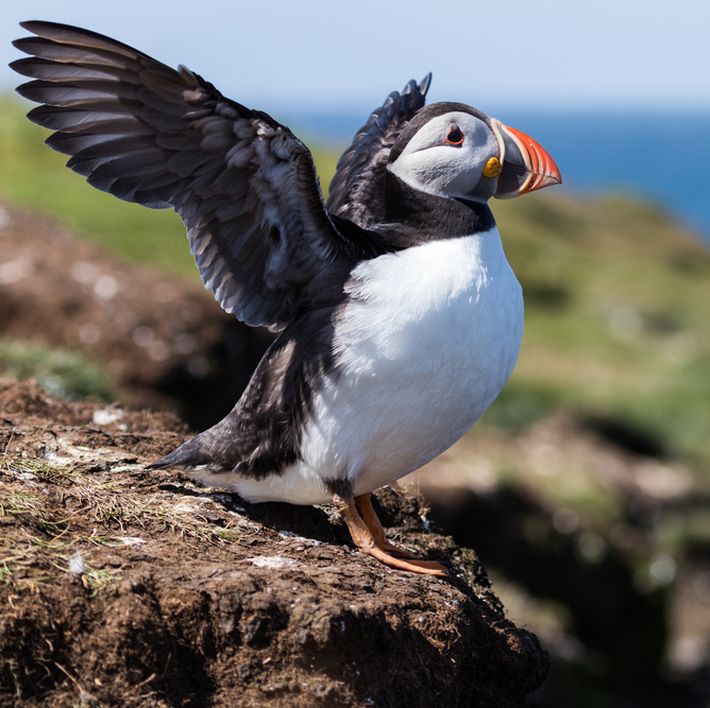 Explore medieval castles and observe wildlife in their natural environment. 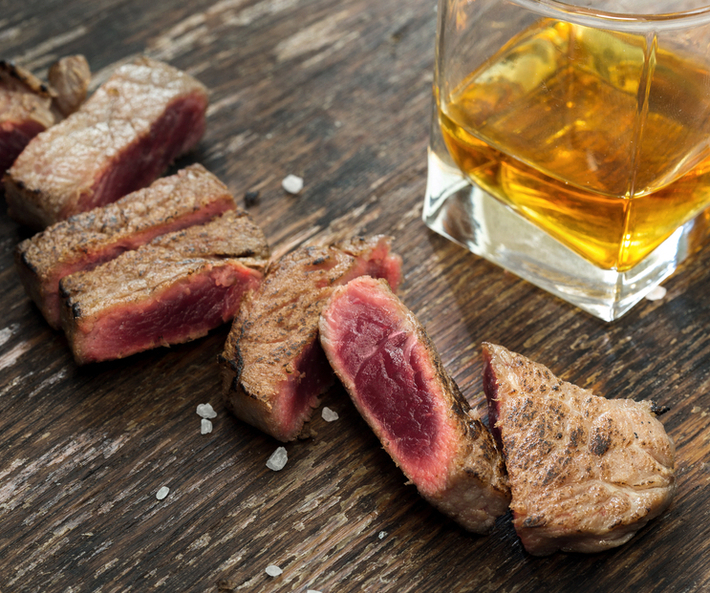 Try delicious fresh seafood and taste lots of types of local whisky while chatting to friendly and open-minded Scots. 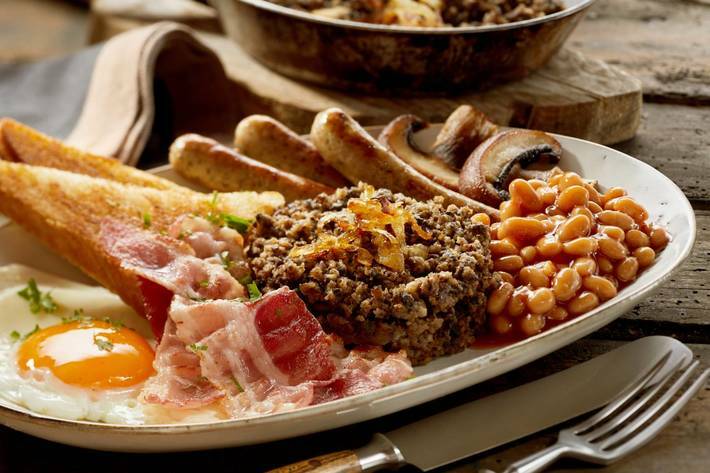 Discover bonnie Scotland as part of the Dream Team!